When you are looking for work abroad, you need to be sure that you will be working legally. Different countries have different work and visa regulations, so make sure you understand what the requirements are for the country you are going to. Different countries also have different relationships with other countries, so the visa you need, or the work you can do, will be limited by where you are from. A UK citizen for example, is free to work in any other member country of the European Union. You will still need your passport, but you don't need to apply for a visa or work permit in order to get a job. If you have a British passport, you can also get a working holiday visa to work in non-EU countries such as Australia, New Zealand and Canada. 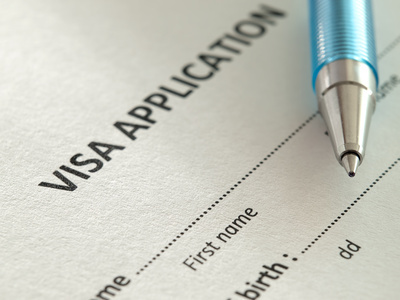 This type of visa enables people broadly aged 18-30 (the upper age limit differs in some countries) to work legally for short periods of time whilst on their travels. The USA is extremely difficult to obtain any kind of working visa as a traveller unless you go for one of their J1 visas, which are designed primarily as cultural experience visas, with some element of paid work allowed. Some destinations require visitor visas, which are usually easy to obtain through your travel agent. On this site we focus on helping you find out more about working visas, as this is the type of visa which is the most complex. Use the organisations below to help you understand what visas could be involved in your travel plans. A WHV is a type of visa which allows you to work as part of your travel experience. Various countries have them set up so that young people can experience life in other countries, and help finance their travel with short periods of work. Most WHV's allow you to work and travel for at least one, and sometimes two years, depending on the destination. Bear in mind though that on the two year visas, only half of that time can be spent working. If you are from the UK, you need to be aged between 18 and 30 to be eligible for the Australian WHV. The UK has reciprocal working holiday visa arrangements with Australia, New Zealand, Canada and Japan. You need to apply for an Australian WHV through the Australian Department of Immigration. Some of the companies on this site will help you with this. The Canadian version is called "International Experience Canada" and you need to apply directly through the government of Canada website, likewise for the New Zealand WHV. which you can apply for online at the website of Immigration New Zealand. How much does a WHV cost? The cost varies by country, but as an example, the Australian version is AUD$270 (about £170 at date of writing). Most online visa applications will be processed more quickly than posted forms. An Australian visa for example could take as little as 48 hours to process. What sort of jobs can I get with a WHV? You will be eligible for most jobs which require staff on a temporary basis. So that could include temp office work, harvest or farm work and working in a bars, restaurants and hotels. Jobs in the tourism and leisure industries would also be relevant.